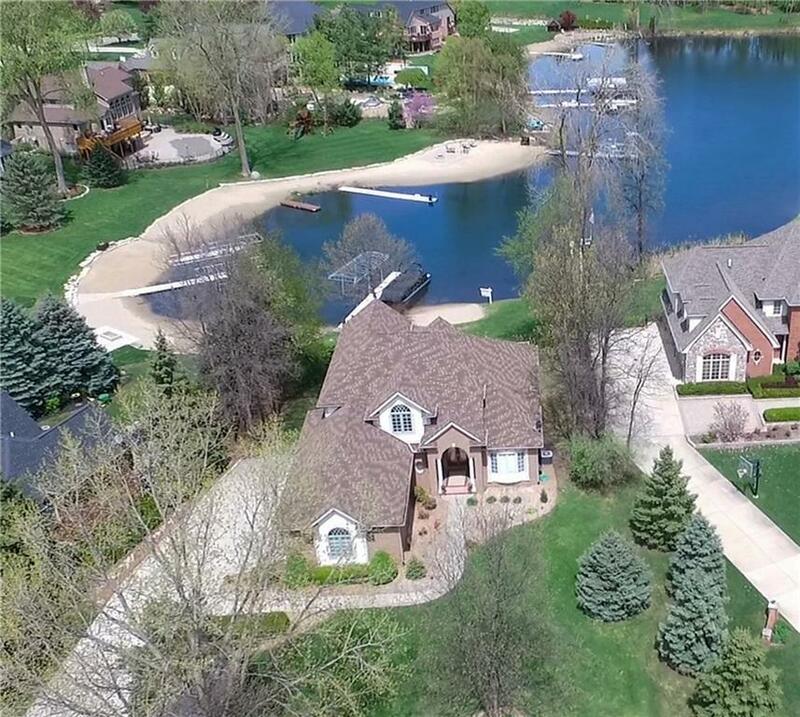 Stunning Custom Lakefront Home situated in Desirable South Bay Shores Sub w/ 77 Ft. Frontage on All Sports Duck Lake! Open Floor Plan features Great Room w/ Soaring Cathedral Ceiling w/ 3-Way FP & Wall of Windows. Updated Gourmet Kitchen w/ Granite & High-End Stainless Appliances and Large Snack-Bar Island & Brazilian Cherry Floors. Library w/ French Doors, Formal Dining Room, 2-Story Foyer & Open Wood Staircase. Spacious 1st Floor Master Suite w/ Lakeside Deck, Huge Walk-In Closet and Bath w/ Granite, Jetted Tub & Custom Shower. Guest Suite w/ Lake Views and 2 Additional Bedrooms w/ Jack & Jill Bath. Finished Walkout w/ Daylight Windows, Family Room, Wet Bar, Dining Area w/ FP, Sauna, Full Bath. 4 Car Garage & 23 x 13 Attached Lakefront Garage for Boat & Lake Toy Storage. Upper Deck & Lower Patio, Sandy Beach Front at Lake. Updates Include Newer Roof, Garage Door, Gutters, Central Vac, Alarm System w/Cameras 2014, Kitchen Appliances 2016, HWH, & Water Softener. All M&D Approx.